The baseband is basically the cellular modem of an iPhone, and knowing what the version is for an iPhone baseband can be useful for many reasons. 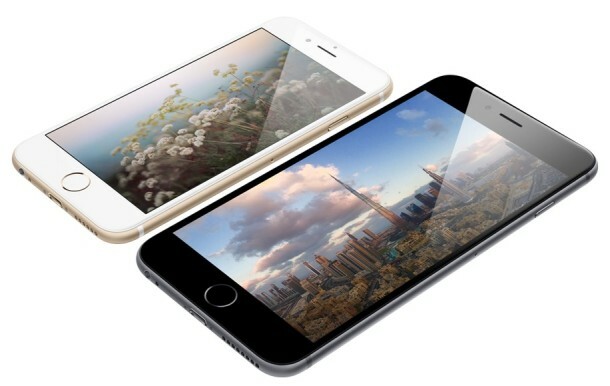 In fact, knowing which baseband version your iPhone is using can be crucial to seeing if you can unlock your iPhone with a variety of the unofficial unlocking tools available out there, including ultrasn0w or other software unlocks. For instance, in the screenshot the baseband version is 05.14.02 which makes it compatible with the ultrasn0w unlock for iOS 4.2.1. We’ve discussed what iPhone baseband is before, it’s just your iPhones cellular modem firmware and you’ll need to know what it is if you plan on using an iPhone unlock. how do i get my baseband without unlocking the phone? when i start it, it says i need to insert a valid sim card inside. without which i cannot do anything on my phone. I have the same problem and I didn’t find an answer nowhere. You can get a valid sim card at your local carrier. You don’t have to activate it after purchase, just stick it in and connect your phone to iTunes. The phone will activate and you can chec in Settings –> General –> About. i have an iphone 3gs. I jailbroke and updated to ipad baseband 6.15.00 in order to unlock with ultrasn0w. and its not working. im on fw 4.2.3 and the ultrasn0w is 1.2.3.
hey sadface, I had the same problem but now it’s working. send me an email and I will help you out. I have the same problem. I jailbreaked my phone with ultra snnow. 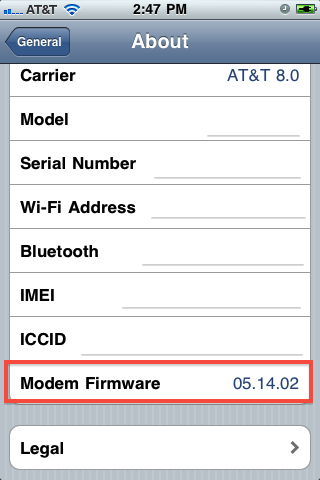 I have an iphone 4 with ios5 baseband and moderm firmware 04.11.08. It is not reading my sim card. Help Please. Dude I have the same problem, steps plz. ma iphone s crashed(stuck n recovery mode) so how can i know baseband ? and what have you done guys? appreciate your answer. thanks ! my iphone 3gs won’t proceed off the config cuz i don’t have wi-fi and it isn’t connecting to itunes! i just upgraded to ios 5.1. what should i do? I had the phone working fine, but today i upgraded to OS5.1.1 and its not going beyond config.I also dont have Wifi and in itune, it says no sim card. Can anyone help me out? i have a iphone 3gs use to be on baseband 05.16.02 or 05.16.04. i have jb but it not showing any baseband now and itune will not let me do a custom restore with any ipsw files/ it also restarts itself. im on 5.1.1 anyway at all to fix this ? send your iphone to me i will fix it and send it back to you when its done im from philipines..